Our son is now officially in Middle School. Last year he was upstairs with middle schoolers but was only in 5th grade and was still my baby boy. This year? He’s still upstairs, but he’s officially in the middle school – earlier start time for school, changing classes all day, more freedom, more responsibilities, more activities after school. The new school year has marked a lot of changes in his (and our) lives and one of the biggest is being able to communicate with him as his schedule fills with extra-curricular activities like sports, band, activity nights, and school dances (not yet, but soon enough for dances!). One thing we did for his birthday right when school started was to get him a phone. We live less than two miles away from school in a town of only a few thousand people. Our two middle schoolers are ages 13 and 11, grades 8 and 6. 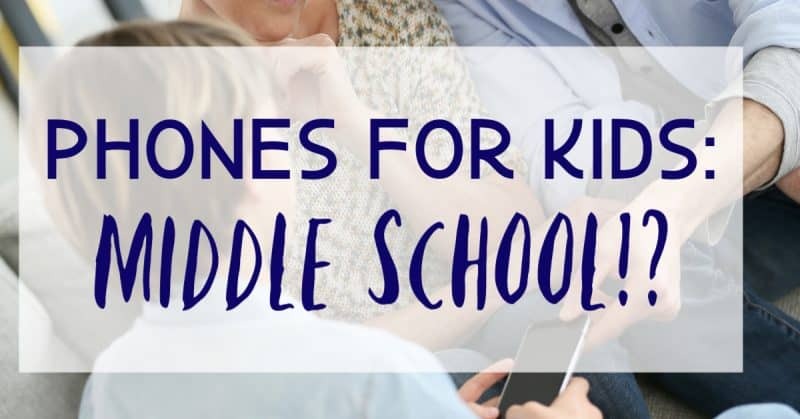 As middle schoolers, they are eligible as a 6th grader to play on the school sports teams, including cross country, soccer, basketball, or softball. These sports over the school year mean lots of practices, meets and games, but also changes in practice days, times, and locations. Sometimes games or practices are canceled last minute, or maybe the game ends sooner than anticipated and the bus returns to school earlier than the projected arrival time. There’s a lot of moving parts for one kid, but with two of them doing activities where we aren’t with them, it’s become quite the crazy calendar! With all of this in mind, it was a pretty easy decision for us to make to get our new middle schooler a cell phone. Him being able to let us know if a practice lets out early or is going to run late saves us the frustration and time wasted of loading up the littlest to go get him only to find out we will have to wait in the car for 15 minutes. If he is riding home from a game on a team bus and it’s running late, he can let us know that too and it eases our mind so we aren’t worrying. He has started taking walks home from friends houses and it’s peace of mind that he can call or just text us and let us know he is on his way. He’s also got a pretty sharp sense of humor and finds most of my jokes entertaining so that’s also a fun reason I like him having the phone! With kids in middle school, we don’t have to be home when he gets off the school bus. Knowing he can get hold of me, my husband, or a neighbor (or vice versa) if I am not there when he gets home even if the power is out is more peace of mind for US as parents. That’s our big “WHY” for letting kids have phones. 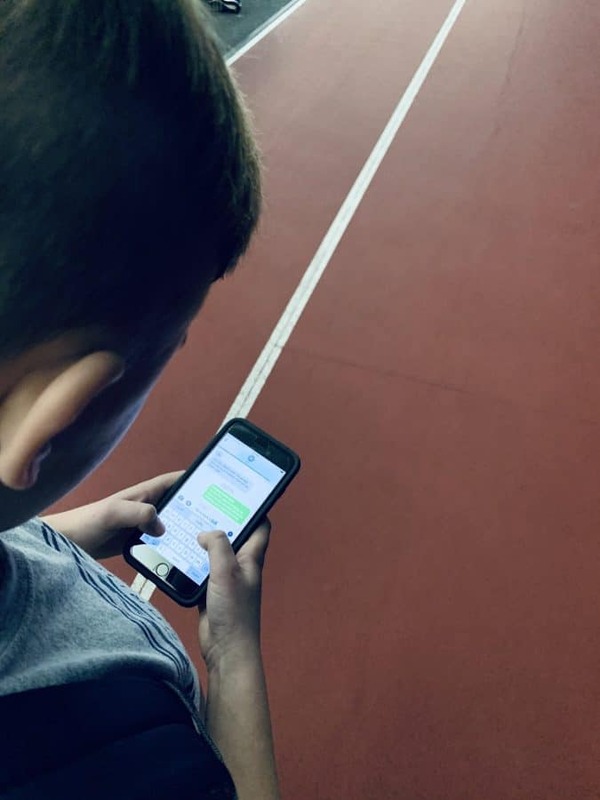 Though the phone will be primarily for our convenience, we’re also realistic and know that a 11-year-old boy who is very active socially will also be texting, emailing, calling friends and playing games like Fortnite. Just because he wants to and is able to, doesn’t mean we’re not going to be parenting him and keeping a close eye on things. 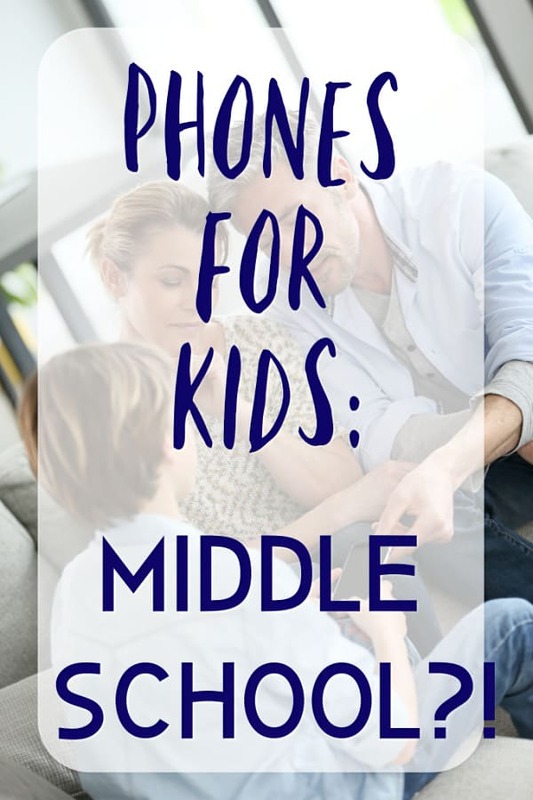 The cell phone will be great while he’s at sports and school related activities but it will also be nice to reach him when he is at a friend’s house or if he’s gone to the movies with a group of kids or another type of social get together. He plays on a travle soccer team and teammates are from several area towns. Times have changed so much and home phones/ land lines are such a thing of the past (We have a land line here, but I only know a handful of other families in town who have one). Sometimes it’s hard to reach a parent of your child’s friends so knowing you can reach your child directly is a good feeling. Xfinity Mobile combines America’s largest 4G LTE network with 19 million Xfinity WiFi hotspots – the most WiFi hotspots nationwide. The thing about Xfinity Mobile is, you don’t HAVE to pay for data if you don’t use it and it auto connects you to Xfinity WiFi hotspots automatically so that you may not need to use as much data as you normally would. It saves you money! Xfinity Internet customers can have up to 5 lines with nationwide unlimited talk and text for FREE, and you just pay for data by choosing from two straightforward data options – By the Gig per month for $12 per GB of shared data across all lines on your account or you can do Unlimited for $45 per line per month. 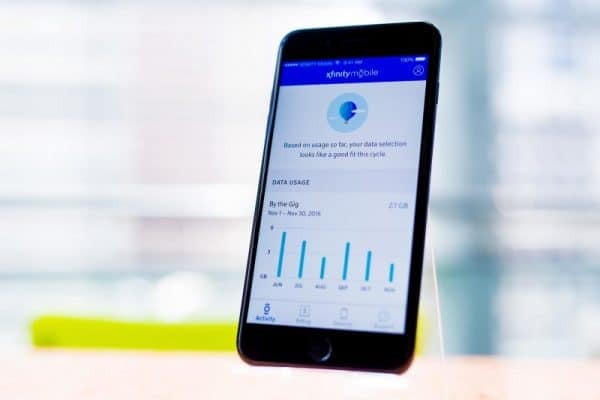 Xfinity Mobile also gives you the flexibility to mix-and-match data options on your account through the easy-to-use Xfinity Mobile app, so you don’t have to subscribe to multiple unlimited lines. Obviously for me as a blogger, working on my phone, we do Unlimited. But for the kids? They are in school all day and have WiFi for most of the rest of the time, so there’s no need for us to spend that money each month. I’d much rather pay sometimes for more data for the kids and than pay another $45 per kid each month for them to hardly use any data at all! In addition, you can switch from By the Gig to Unlimited data to save money if you find yourself using more cellular data than anticipated before your monthly billing cycle is up. Follow your local Comcast blog for tips and updates on all things Comcast and Xfinity! Xfinity Mobile offers affordable service for the whole family. It’s great coverage, and I can even do the iPhone for the kids which means I can also use the parental and family controls and settings that Apple offers users in addition to the parental controls available from Xfinity. The kids are excited that they have one of the latest and greatest phones – and can use apps they’ve already familiar with since we’ve had an iPad or they’ve had iPod touch for several years- and I’m excited that we have a way to stay connected and they can reach us at any time no matter where she is. My husband’s phone is via work and not an iPhone, so the kids weren’t able to text him until they had a phone. Phones for kids aren’t everyone’s cup of tea, and I know that. For us, for our family, it works. It’s most definitely worth the peace of mind for both my husband and myself. A surprise benefit of kids having a phone is that they are able to text us if in an uncomfortable or difficult situation, and we can call or text the adult with them to “Something came up and we need to come pick up our Mini Martin” without our kids ever having to tell someone. Do we want to use this all the time? No, but should a situation arise, I’m absolutely glad this option exists. This whole middle school journey is foreign to us as parents and we’ll take any help we can get! Are you thinking about phones for your kids? Have you looked into plans yet? Make sure you check out Xfinity Mobile when you do! I like the idea of my kids having a phone for safety as well. Thank you for the good post. I don’t think that my niece and nephew are ready for phones yet. I don’t think that they should get phones until high school. We got my daughter a phone in 6th grade. It is quite handy now that she is more active. Thanks for this. I don’t have little ones anymore, but the grandkids all have a phone which helps their moms out when they are at activities. When you think of a phone as an extra safety measure , or even an efficiency tool, it makes perfect sense to provide one to your middle schooler. With strict rules and usage guidelines, much of the concerns can be mitigated. None of my kids have phones yet, but I homeschool though and don’t really have the need. I totally understand though when they are gone at school and activities that we need to be able to keep in touch. I’m sure things here will change soon. I was so nervous when we got my son his first phone. Worried that he’d break it… or take it to school and use it during classes… But he’s proven to be responsible! 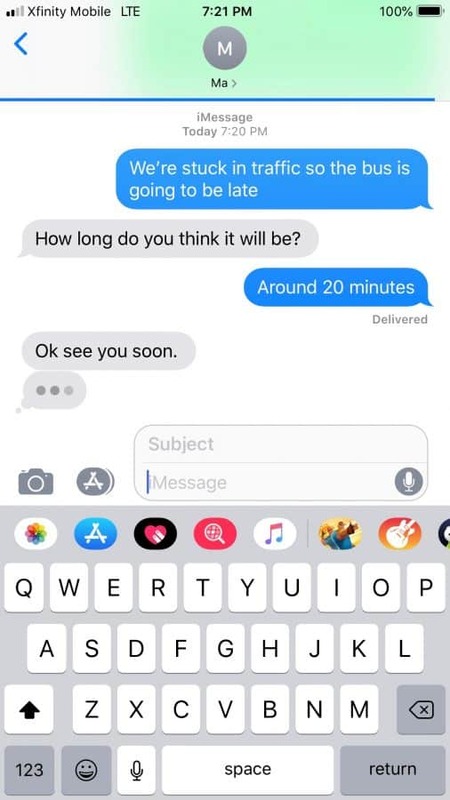 I love it because it helps let me know if he’s going to be late – or if he’s staying after school for any functions he can call me when they are getting ready to end. This is a conversation we are having all of the time in our home. My oldest is in 5th grade and she is begging us for a phone. We are still just looking into all of the options and hearing this from a parents perspective is really helpful! 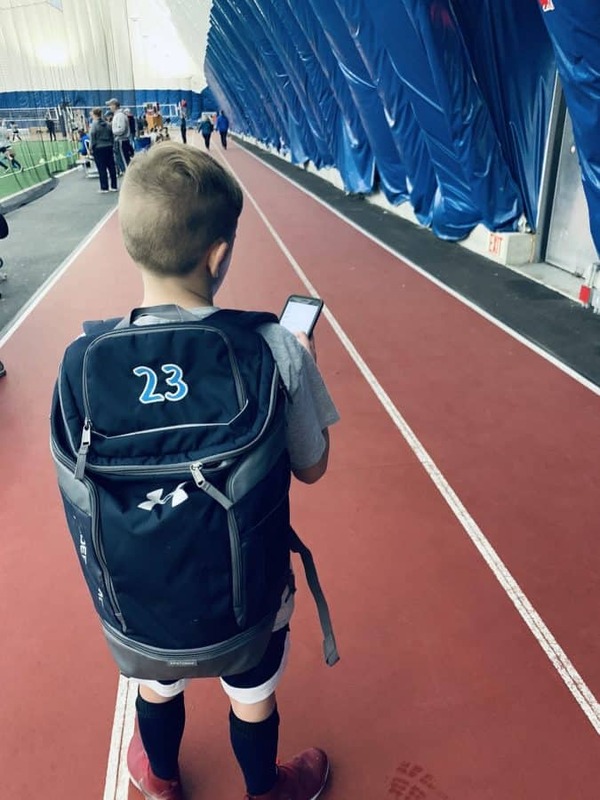 Sports and related travel are the exact reasons we’re seriously considering a phone for our 12 year old. He does track and swim team and I simply can’t always be there. Back when our oldest was 12 his grandma (my ex-mother-in-law) from Hell… but I digress, got him a cell phone. We at the time didn’t even have cell phones. I think if I had kids now in Middle school (probably 7th grade or maybe 6th) they would have one to be able to get a hold of us if needed. My son is an adult, but honestly I think I would have felt safer had he had a phone when he was young.